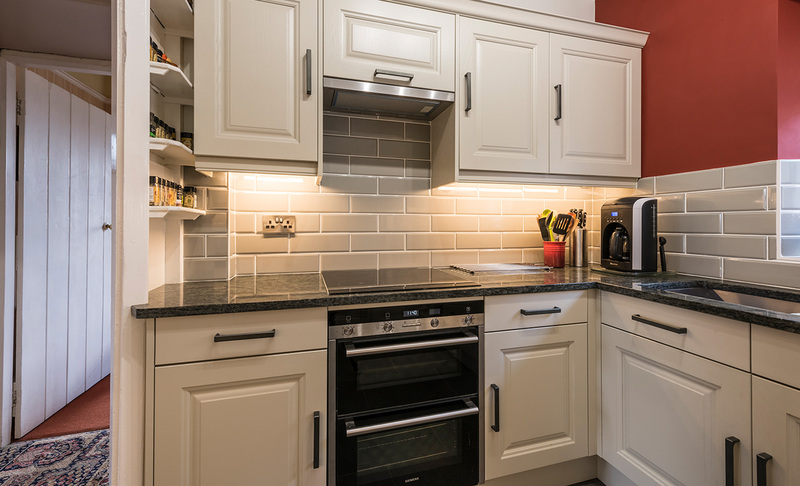 In this beautiful lodge that was once part of the Clevedon Court Estate every care has been taken to compliment the features that were and are existing in this pretty kitchen. An original water pump was kept and so were the uneven walls and original shelving creating a cosy unique kitchen very much in keeping with the property. The doors chosen to compliment this home were Jefferson painted Mussel which add a warmth to the reds and greens chosen for the walls and furnishings. 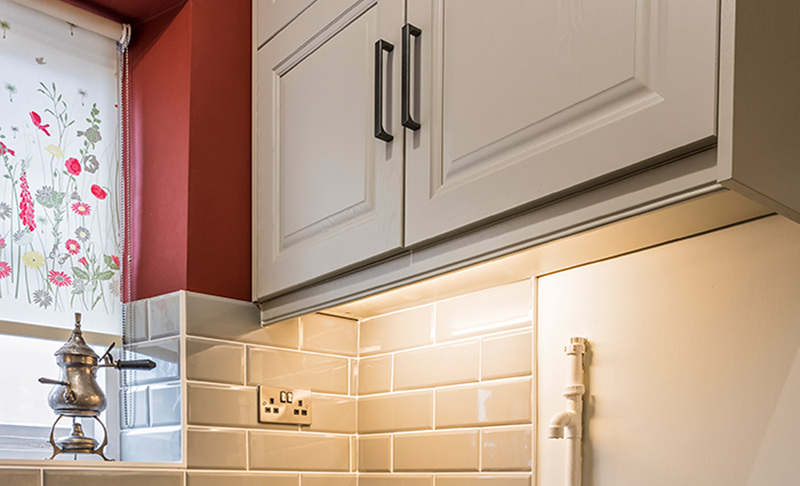 We were impressed with our whole experience with Portishead Kitchens, from our first visit to the showroom to completion and would have no hesitation in recommending them to others. Anna and Chris were very helpful and patient throughout and very easy to get on with. They also dealt very promptly and effectively with the few issues that did arise. 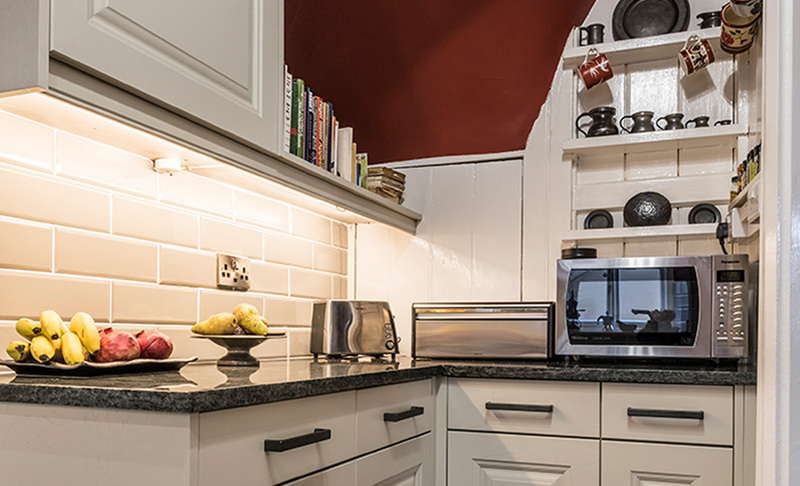 All the units and appliances were of a very good standard and the quality of the workmanship was excellent. Our kitchen space is quite quirky so it was not a straightforward job by any means but we are delighted with the results.